2. The issue has been examined. The transfer of tenancy rights against tenancy premium which is also known as “pagadi system” is prevalent in some States. In this system the tenant acquires, tenancy rights in the property against payment of tenancy premium(pagadi). The landlord may be owner of the property but the possession of the same lies with the tenant. The tenant pays periodic rent to the landlord as long as he occupies the property. The tenant also usually has the option to sell the tenancy right of the said property and in such a case has to share a percentage of the proceed with owner of land, as laid down in their tenancy agreement. Alternatively, the landlord pays to tenant the prevailing tenancy premium to get the property vacated. Such properties in Maharashtra are governed by Maharashtra Rent Control Act, 1999. 4. The contention that stamp duty and registration charges is levied on such transfers of tenancy rights, and such transaction thus should not be subjected to GST, is not relevant. Merely because a transaction or a supply involves execution of documents which may require registration and payment of registration fee and stamp duty, would not preclude them from the scope of supply of goods and services and from payment of GST. The transfer of tenancy rights cannot be treated as sale of land or building declared as neither a supply of goods nor of services in para 5 of Schedule III to CGST Act, 2017. Thus a consideration for the said activity shall attract levy of GST. 5. To sum up, the activity of transfer of ‘tenancy rights’ is squarely covered under the scope of supply and taxable per-se. Transfer of tenancy rights to a new tenant against consideration in the form of tenancy premium is taxable. However, renting of residential dwelling for use as a residence is exempt[Sl. No. 12 of notification No. 12/2017-Central Tax(Rate)]. Hence, grant of tenancy rights in a residential dwelling for use as residence dwelling against tenancy premium or periodic rent or both is exempt. 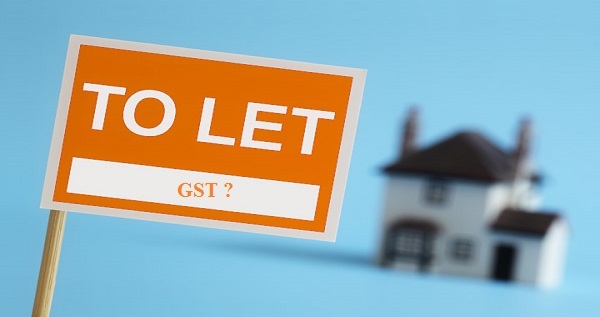 As regards services provided by outgoing tenant by way of surrendering the tenancy rights against consideration in the form of a portion of tenancy premium is liable to GST.